#MSWL - middle grade: I want it!! I read and love across most genres in MG, so try me! 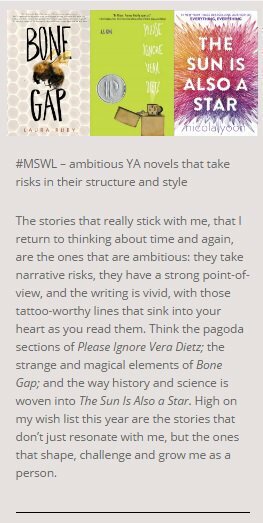 #MSWL - stories about characters grappling with how history shapes identity, and how the past insists its way into the present moment. Also, it is September, so naturally on my #MSWL is anything with fall or winter vibes, or Halloween vibes. #MSWL - big emotion stories: stories that capture those emotional truths that as readers we've perhaps experienced but never put into words. Also related to the below #mswl - fantasy about how history insists its way into the present moment, and how history & place shape identity.